How about some straight-up heavy metal from Sweden? We know you want it, so stick your eyeballs into the new video from Wolf! 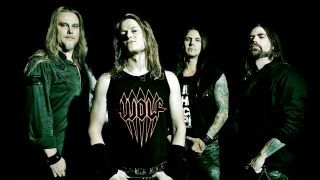 Wolf have long been making a serious heavy metal racket since the mid-90s and are now getting ready to unleash their seventh studio album Devil Seed on 25th August. Produced by Jens Bogren, who has worked with the likes of Kreator and Opeth, you know it’s going to be nothing but deliciously heavy sounds. ”I haven’t been this pleased with the songs on a Wolf album since the release of Black Wings”, says founding member Niklas Stålvind. ”I really think we have taking our songwriting to the next level on this one and I hope that the metal fans will love it as much as we do”. If you’re digging the track, be ready for the album Devil Seed on 25th August. Then check ‘em out on the UK tour later this year at the dates below.